Allegra Boverman/Gloucester Daily Times. 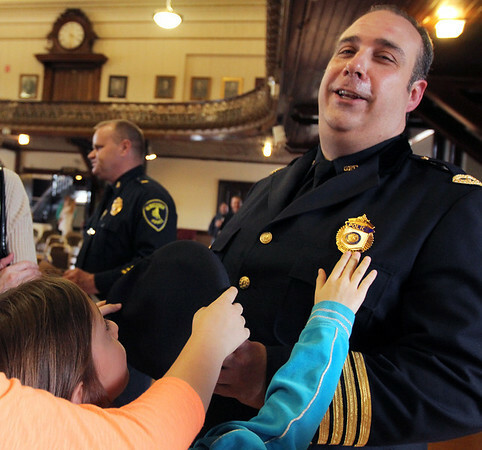 Gloucester Police Chief Leonard Campanello marks one year in Gloucester. He presided at a Public Safety Badge Cermeony in May and was officially sworn in that day by the mayor. His daughters reach out to touch his badge and cap afterwards.